Get funds from card machine to bank account in just a few hours, compared to the typical 3-5 days offered by other card processors. 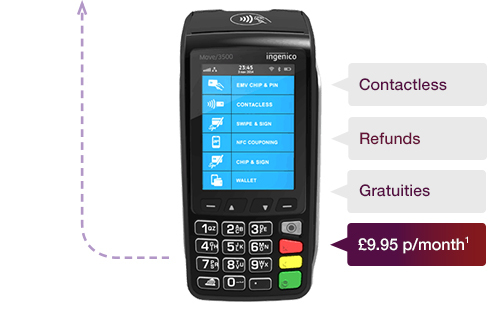 Our range of card machines are the perfect fit for any business type. Take payments at a sales counter, at the table or on the road. Now we are able to take faster, seamless payments by connecting to personal hot-spots when we’re on the road! A super-fast solution to our problem. 1. 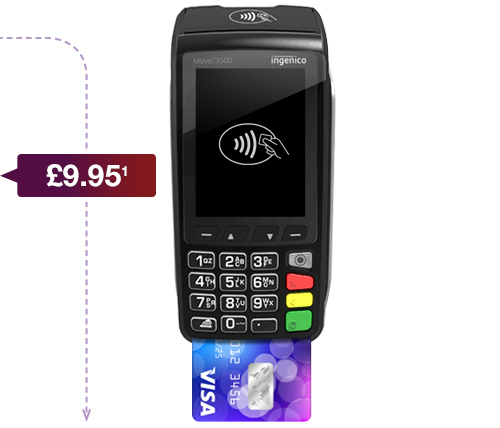 From £9.95 per month for one (1) card machine. Subject to availability. Pricing may vary depending on membership specification. Card machine model may differ from the image on this page depending on business type.